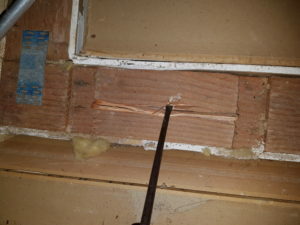 This homeowner was shocked to find active termites eating away at his house. 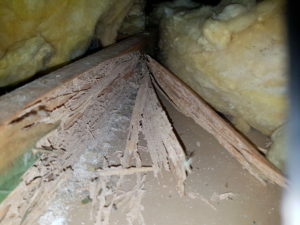 Not long after buying the house in Elizabeth Beach, South of Forster on the Mid North Coast of NSW, the home owner was shocked when renovations unearthed active termites eating away at his new pride and joy. Luckily, in his frantic state he DID NOT spray the termites (YAAYYYYY!! ), he picked up the phone and called an Expert. The obviously shaken home owner was calmed by the news we would make time to perform an Expert termite inspection the next day. Upon arrival, the first thing I noticed was the raised garden bad against the front wall, big no no! It didn’t take long to start finding damages, evidence of failed/non Australian Standard compliant treatments and active termites. The Dreaded Coptotermes sp. 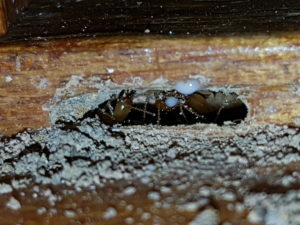 Australia’s most destructive genus of termites had made short work of the gyprock sheeting and pine framing with little remaining untouched. The extent of termite damage was to the point where the ceiling joist had to be sounded to test their structural capability before crawling on them! See below for some photos. 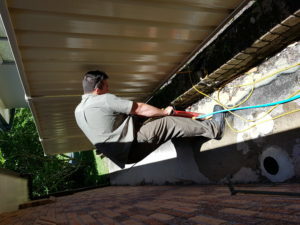 After the termite inspection was completed and the range of variables which affect possible termite treatments were assessed the customer had decided on the Exterra termite monitoring and baiting program to be established and maintained by the Local Pest Experts. 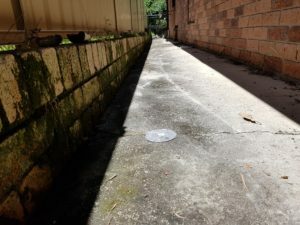 The benefits that the Exterra termite monitoring and baiting program offered in this particular situation were, colony control, relatively low destructive access requirements and a non toxic option. This particular structures floor construction required full internal perimeter drill and inject treatment to establish a complete and continuous, effective termiticide treated zone. 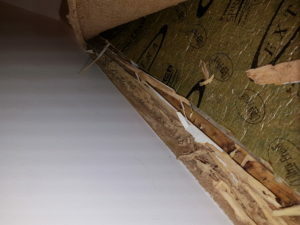 This meant that carpets would need to be removes, kitchen cupboards would need to be removed and tiles could be damaged in the drilling process. 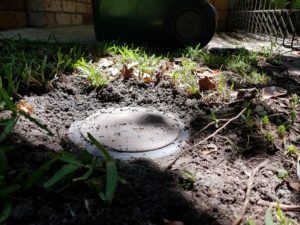 With the Exterra termite monitoring and baiting program we were able to establish a ‘front line’ for termite monitoring which surrounds the structure in termite conducive areas and apply immediate termite baiting to the active areas. Exterra’s Requiem bait uses the active ingredient of Chlorfluazuron, a powerful insect growth regulator, to gain colony control by using the termites own process of chitin synthesis against them. Concrete in the way? not an issue. Local Pest Experts have a concrete core driller to install the termite monitoring stations in the soil below it. 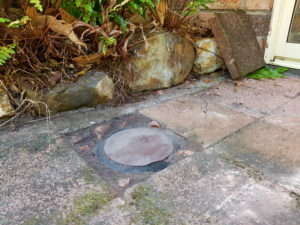 The termite monitoring stations can be installed in almost any environment and once the are their, you pretend they aren’t. Mow over them, wall on them, water your lawn as normal. 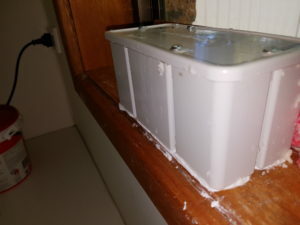 The termite bait stations must be installed where we have active termites. 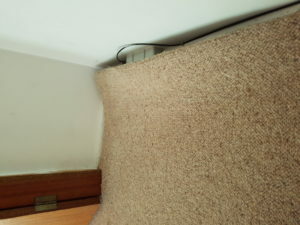 Local Pest Experts always install them in areas which will least impact the use of the area. This structure is now in the hands of the Local Pest Experts termite management team and the home owner can rest easy. We will make regular sight visits to check the monitoring stations and replenish the bait while it does its job. After we achieve colony control the structure will have ongoing termite monitoring to ensure the home owners piece of mind into the future.